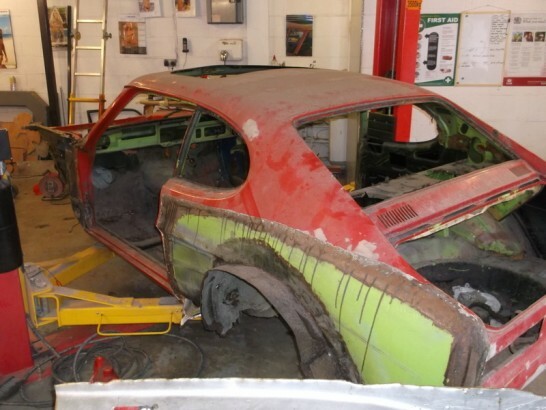 Owned by the current owner 30 years ago and sold 20 years ago he discovered his old Facelift capri discarded in a local breakers yard. 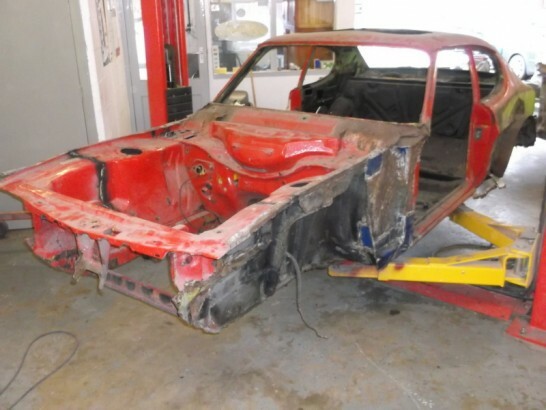 Still complete and with the X-pack he had fitted on the car more than 2 decades ago the Capri looked as if a little cash and TLC could have it back on the road again, but after buying back his car, shipping it home and stripping the kit off the full horror of the corrosion became apparent. 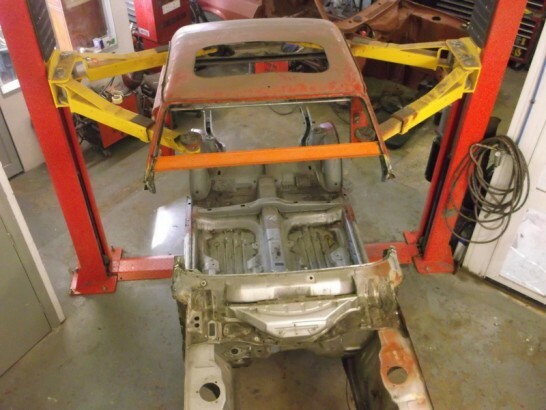 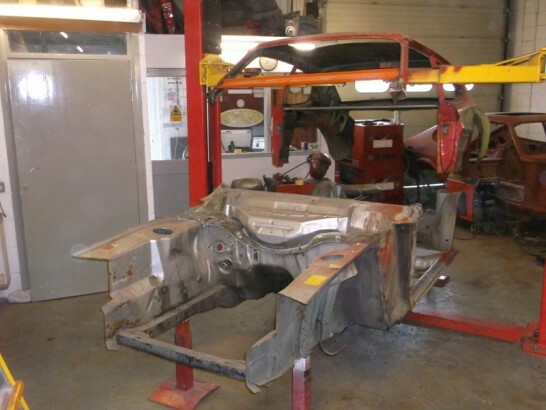 After considering the costs and the amount of panels needed someone suggested fitting a floor pan and inner wings from a mk3, and as the MK1 facelift floor and chassis is almost identical the owner decided this was the way to go. 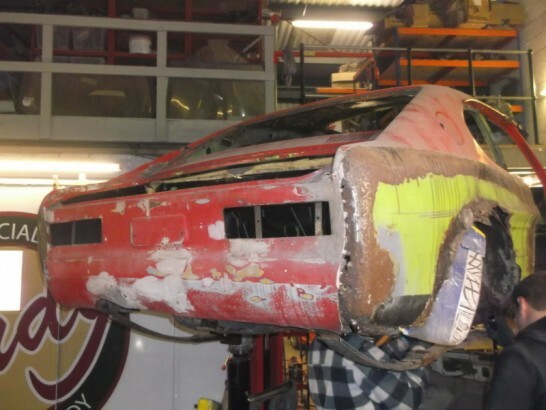 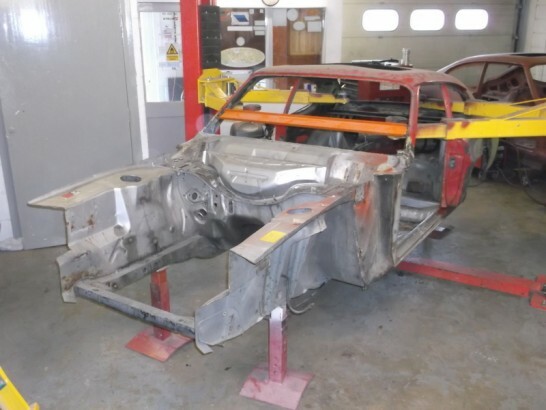 Arriving stripped and accompanied by a floor pan and inner wings donated from a MK3 Laser, a selection of panels and a new X-pack body kit. 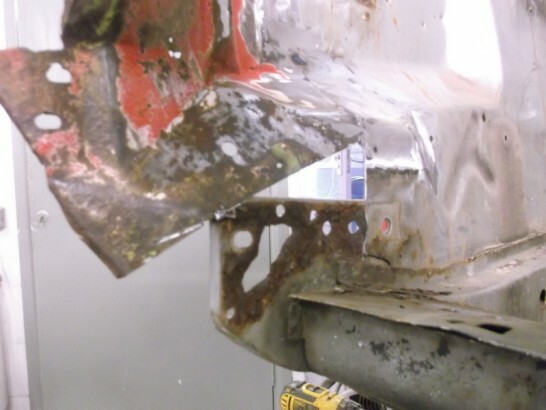 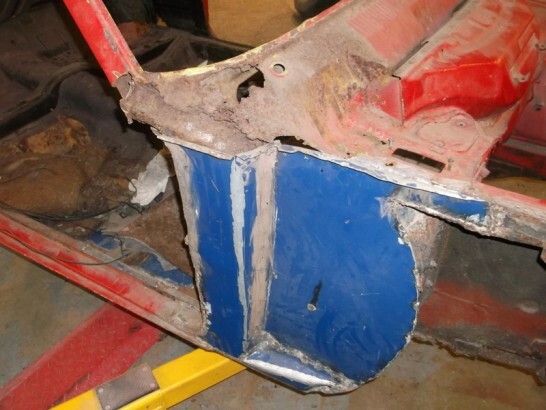 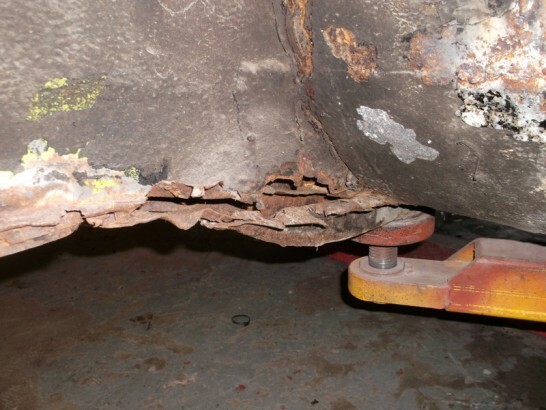 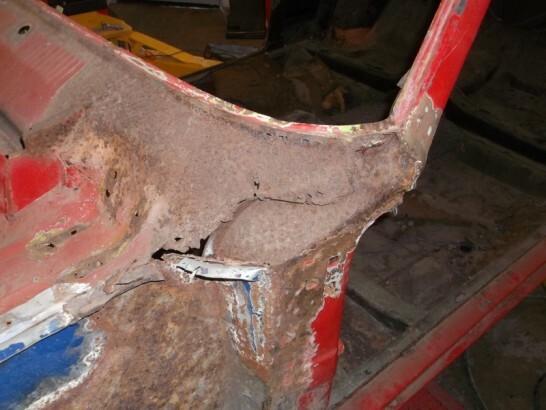 The corrosion is so bad that the chassis has collapsed at the front. 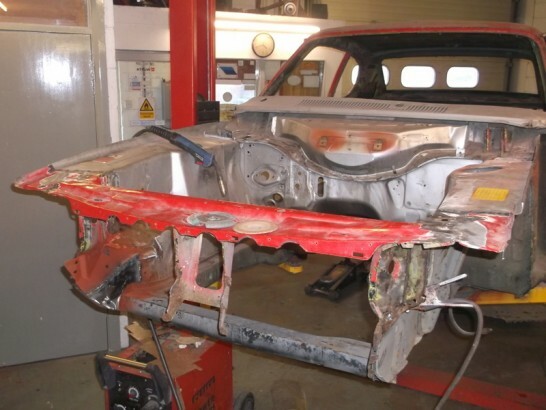 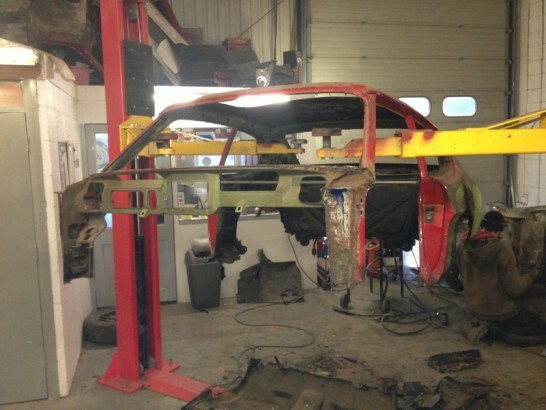 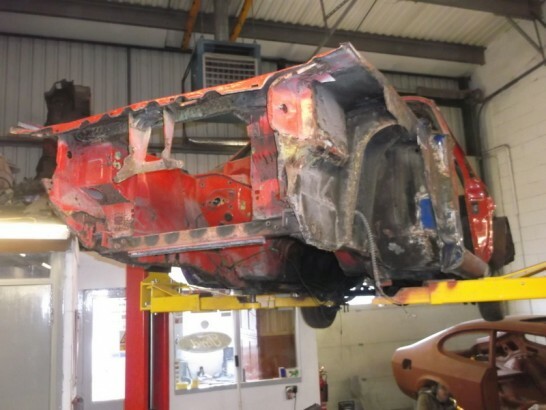 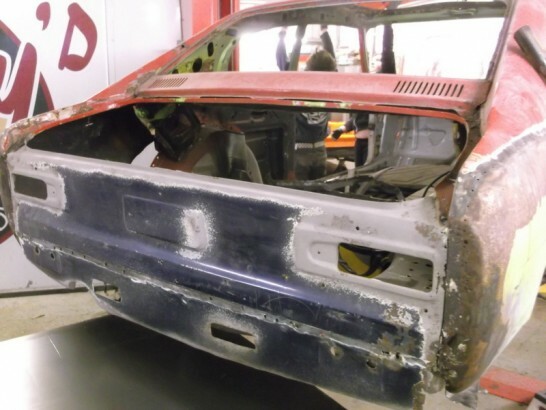 Before deciding on grafting in the MK3 floor the Capri was originally sent to a local garage to be repaired, but the owner was unhappy with the workmanship. 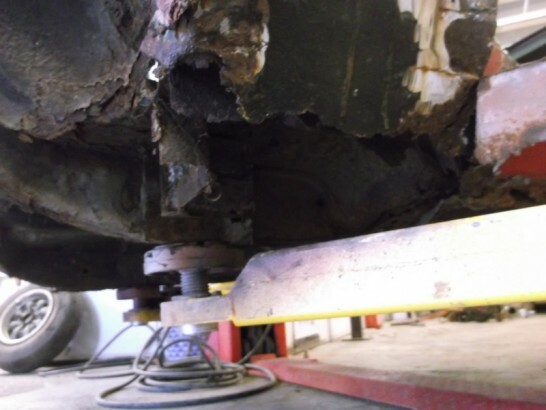 It was a surprise the leaf springs hadn’t dropped of the car. 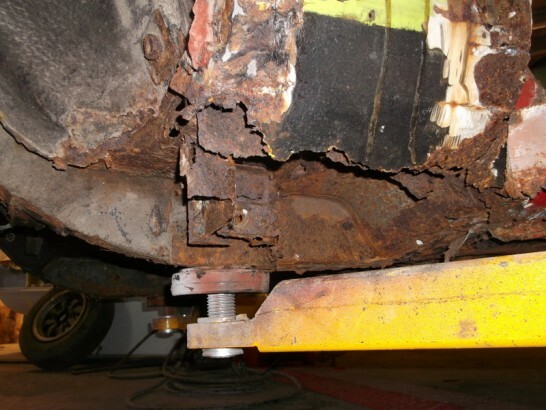 Some of the usual Mot style repairs. 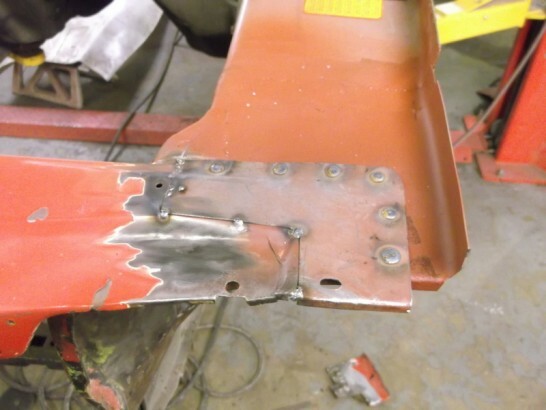 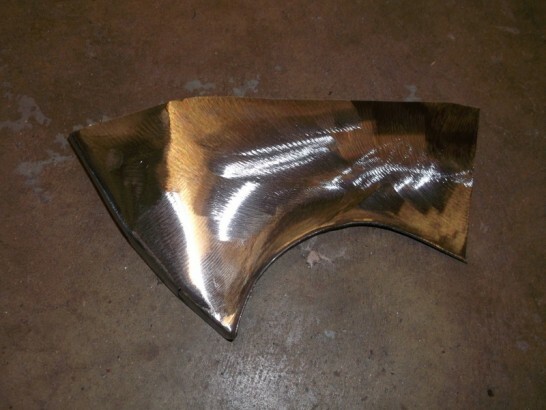 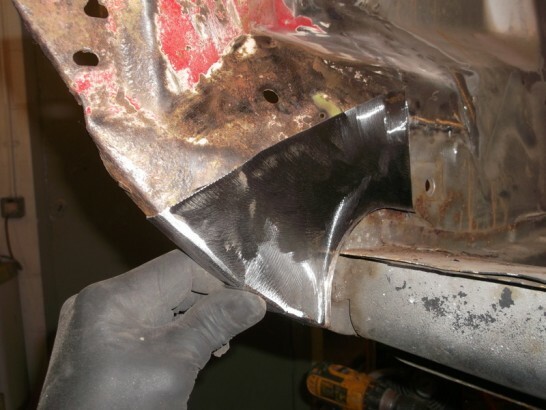 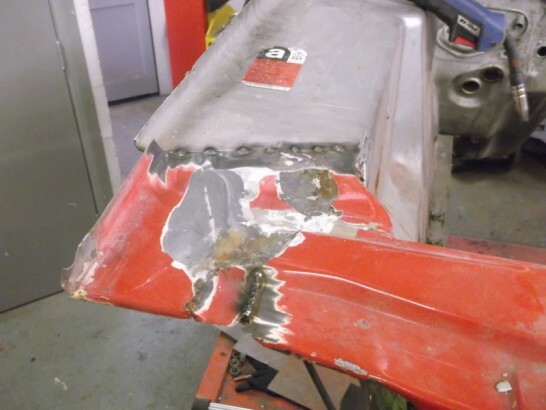 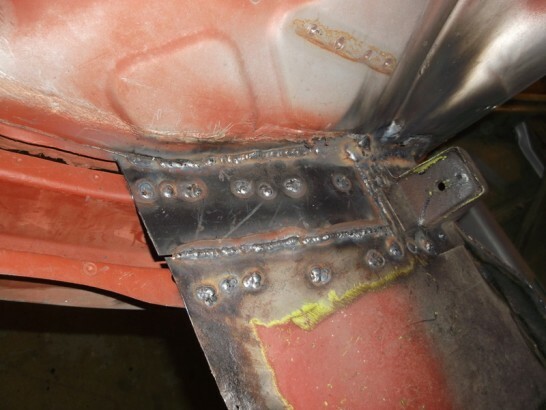 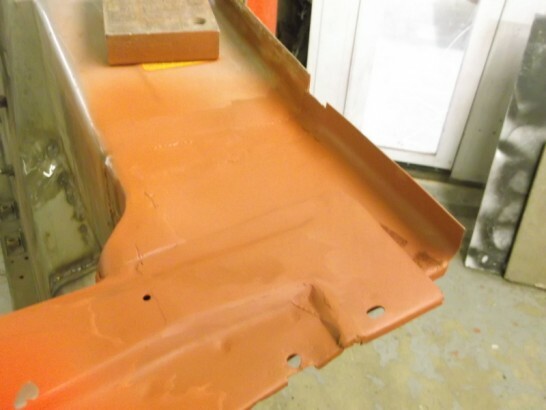 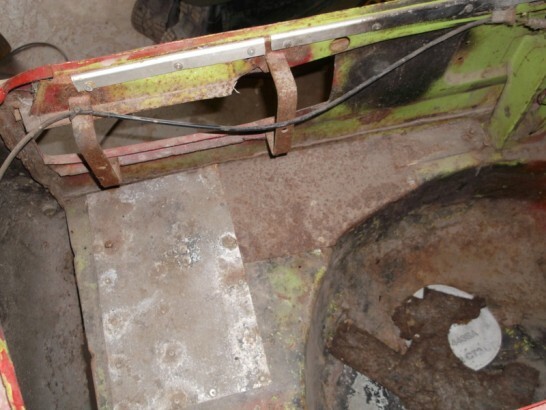 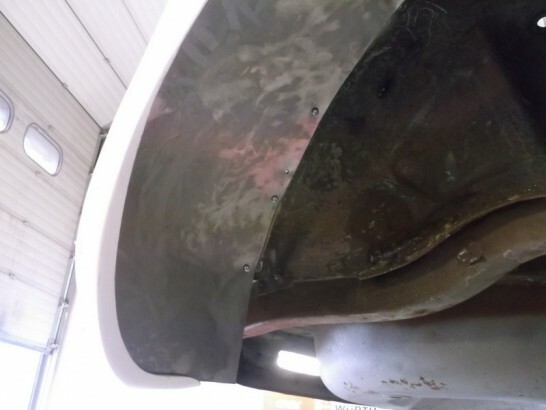 The MK3 floor pan is generally in good condition needing only a few repairs and a little trimming to ready it for fitting. 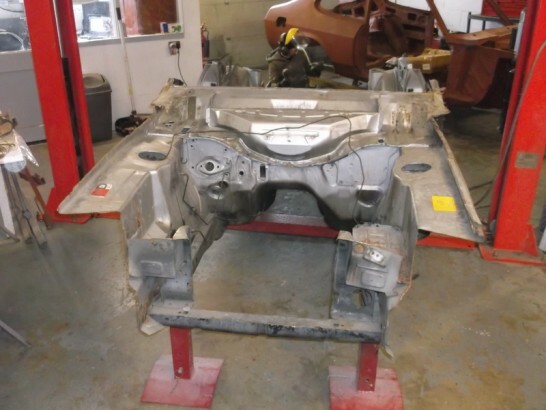 The first task is to remove all the unwanted rotten sections.The roof, A posts inner, outer quarters and rear bulkhead and scuttle panel are all that remains. 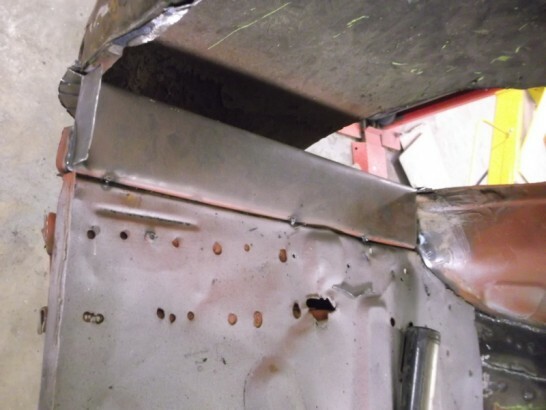 With both sections trimmed and the joins treated its time to lower the Mk1 upper portion on to the MK3 floor. 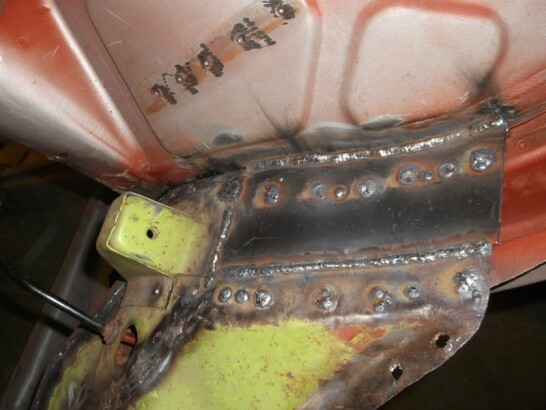 The measurements and alignments are double checked before welding the two halves together. 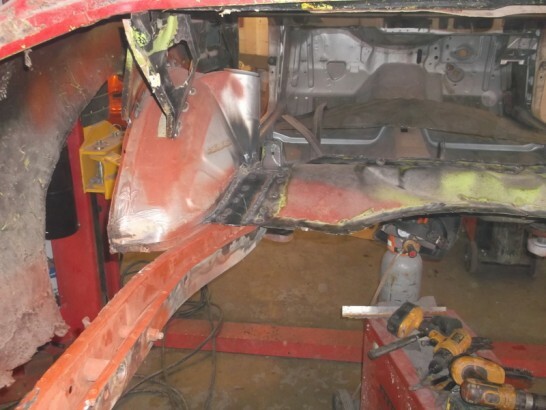 With the top and bottom joined its time to join the front section of inner wings and slam panel to the Mk3 inner wings. 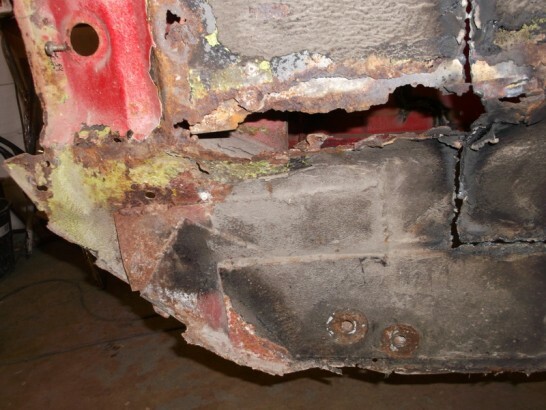 At the same time as grafting the front section on a few sections need rebuilding as they have corroded away. 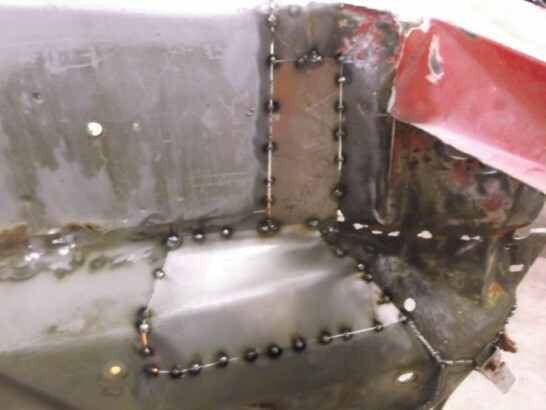 As the Mk3 inner wings and the Mk1 ones differ slightly an interim section has had to be fabricated. 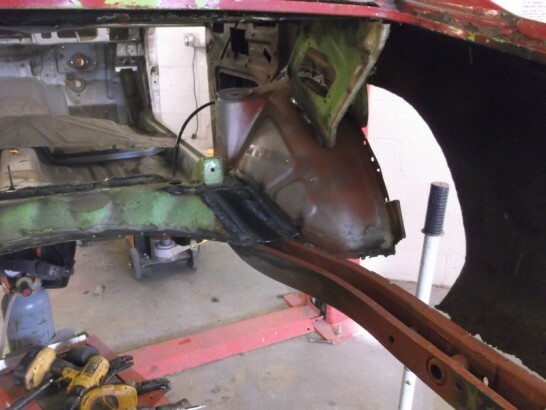 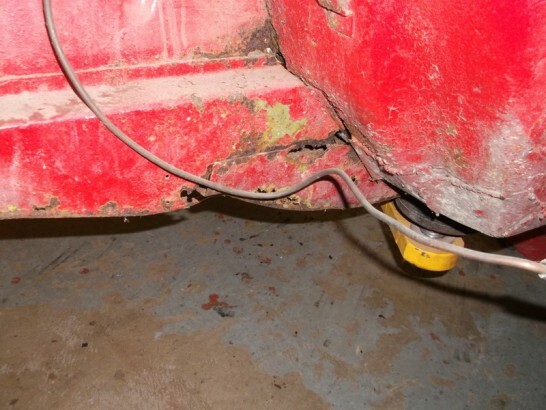 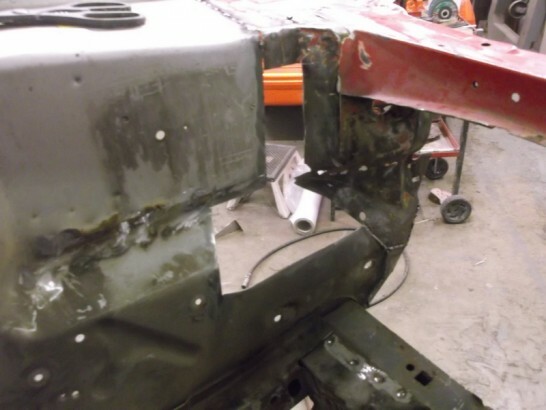 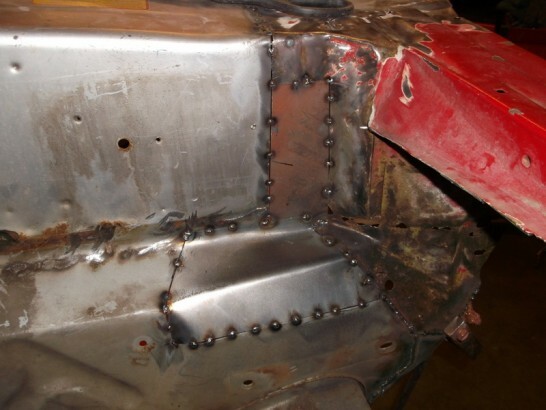 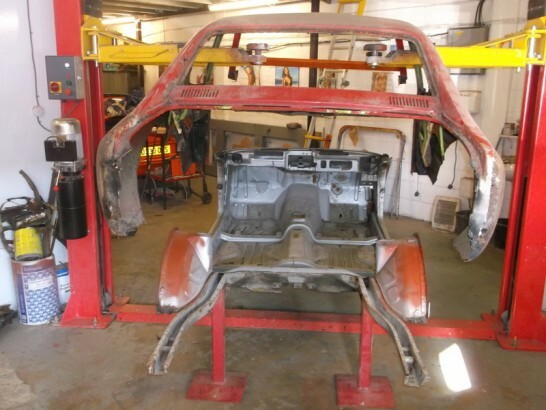 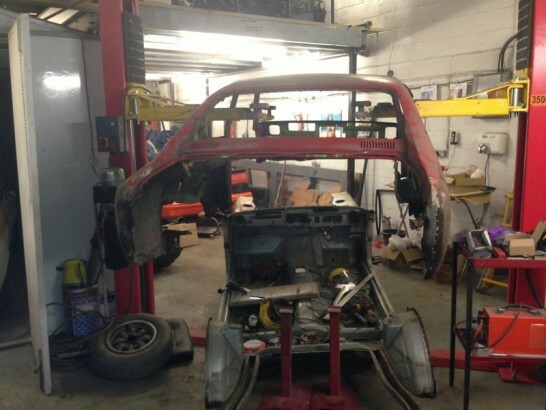 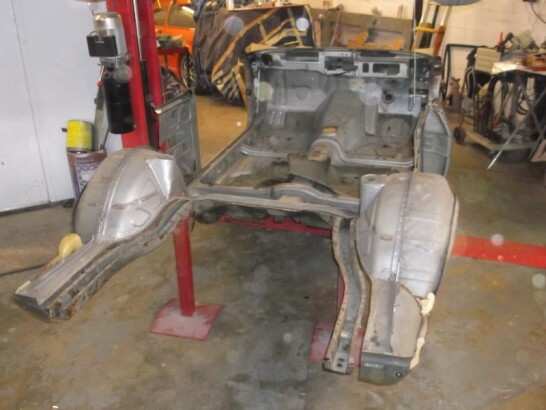 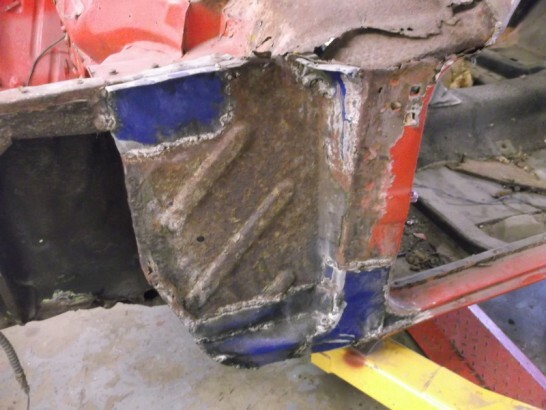 The Mk1 boot floor sections have been salvaged and grafted on to the Mk3 floor and chassis. 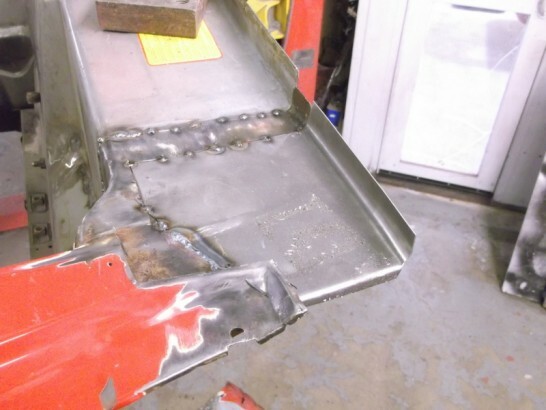 A couple of new boot floor drop side panels have been fabricated and fitted. 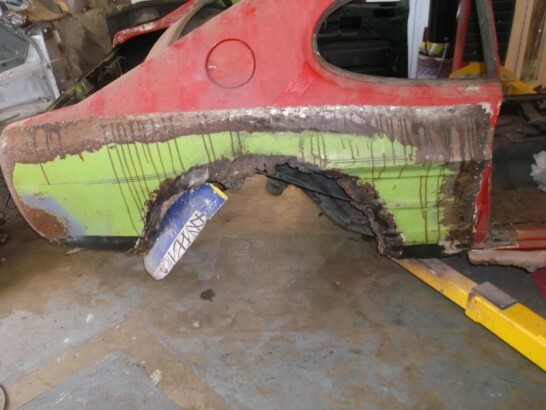 This is only a temporary rear panel to aid aligning the the rear quarters whilst ther’re being repaired and the wheel tub for the x-pack are fitted. 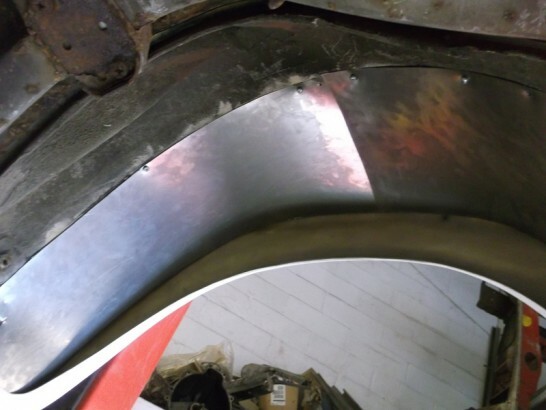 The wheel tub sections are fabricated and fitted.